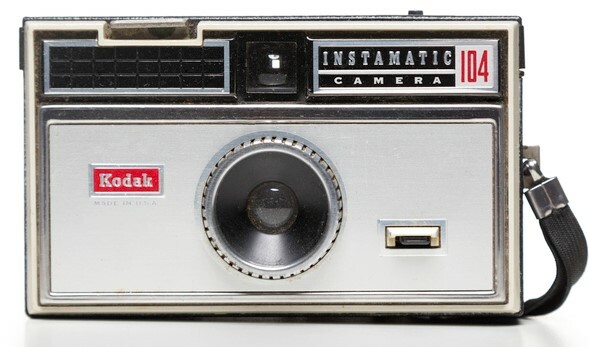 When I was a kid, one of the biggest companies in the world was Kodak. It was such a big part of our culture that Paul Simon, one of the most famous songwriters of our time, wrote the song Kodachrome based on Kodak’s film that was used for photography. Some of you might even remember photographs. Yes, there was a time when we had physical pictures that were printed that we kept in our wallets, posted on our walls, and carefully tacked into photo albums. When they were able to print dates on the side of them, we thought, “Wow, now that is cool.” Even the word “cool” was a popular thing to say from that bygone era. When we walked into grocery stores, pharmacies, and convenience markets, one of the first things we saw was a rack filled with Kodak film. After taking pictures, we would drop off our film at many of these locations and wait for days to get our prints back. Sometimes, for some of us, only then, we would find out that we had our thumb in front of the lens the whole time and couldn’t see anything in the pictures. Now we know immediately. However, thinking back, it seemed impossible even to imagine that there would be anything that could ever replace Kodak. Today, 88% of Fortune 500 firms that existed in 1955 are gone. What happens to them? In the case of Kodak, they didn’t explore opportunities they viewed as too complicated. They were myopic. Their employee, a guy named Steve Sasson, created the first prototype of a digital camera. This idea could have wholly disrupted the industry had they focused more attention on digitization. Instead, by focusing too much emphasis on film, they became extinct. There is a laundry list of companies like Kodak, Blockbuster, and others that seemed would be here forever and yet … they are gone. With the advent of artificial intelligence, there is a strong focus on disruption. If organizations don’t want to go the way of Kodak, they must be open to innovative ideas. However, where can they get these suggestions? Our employees? If so, what will inhibit their ability to be creative and motivated to provide views and opinions? If employees are our greatest hope, we must develop and promote their sense of curiosity. It is easy to say that curiosity is essential. What isn’t as easy is to determine the factors that inhibit it. Aren't those factors really what we need to focus on if we want a creative, innovative workplace? We need people who ask the tough or unusual questions, who explore new ideas, who embrace the unknown. Sounds simple, right? Why don’t we have more employees like that? In my research, I found four factors held people back from being curious. I created the acronym FATE to help make it easier to remember them. They are fear, assumptions, technology, and environment. My research included studying thousands of people for several years and determined that these four factors can have a substantial impact on employee engagement, innovation, and productivity. So, let’s consider fear. People avoid exploring new areas or avoid asking questions due to fear of failure, avoidance of embarrassment or lack of control. I can remember asking one of my bosses a question about how to do something that I had never been trained to do. Instead of offering guidance, he was mortified that no one had ever had me perform such a task and just said, “I’ll pretend I didn’t hear that.” What does a reaction like that do to the possibility of me ever asking him anything ever again? When leaders react in negative or offensive ways, employees shut down. Many leaders might not even be aware that their reaction comes across negatively. I can remember confronting that leader later about his behavior, and he seemed completely unaware of the impact of his comments. That is why emotional intelligence has become such an important topic in the workplace. If we do not develop our empathy and interpersonal skills, people will continue to fear ramification for asking the “wrong” question. When we look at the second factor, which is assumptions, where we assume we won’t be interested in something, or that it is boring or unnecessary. People often assume they won’t like something because they didn’t like it in the past, or someone told them they didn’t like it and so, therefore, it must not be worth pursuing. The reality is, as we age, some of the things we didn’t like in the past can sometimes become more interesting to us as we age and have more experiences. I can remember trying to stay awake in my world history classes in school. I remember learning about Pearl Harbor, but if someone had asked me if that was a topic that interested me in my youth, I would have said no. Later, after traveling to Hawaii and seeing the horrific aftermath of the event, history came alive in my mind and became far more interesting to me. Many of us shut out opportunities to learn things because we have that little voice in our head that tells us that we won’t be interested. By recognizing that we have that voice, we can take the first step toward developing our curiosity. The third factor that can inhibit us is technology. Sometimes technology can do so much for us that it keeps us from looking into how the answers were discovered. Sometimes technology can be so overwhelming that to think about learning how to use it can make us shut down to the opportunities. I give my 85-year-old mother much credit for trying. I can remember training her to use her first computer. She took the mouse and waved it in the air, rather than moving it on the desk, to get it to move the cursor. Had she not had someone to help her, that might have been the end of her desire to embrace technology. It is the same thing at work. If we have people to support us when we take our mouse into the air to move the cursor, then we feel safe. When companies meet technology training needs on an individual basis, if necessary, rather than letting people fall behind, that is a big first step to getting people to embrace the possibilities. The last factor is environment. Our environment can include our family, educators, work relationships, peers, and friends. When we are surrounded by people, who don’t have time to answer our questions or have ideas about the things we “should” or “should not” do with our lives, that can impact our desire to ask questions and explore new opportunities. The desire for people to fit in can kill many dreams. I hope that everyone reading this considers how those four factors have impacted his or her level of curiosity and how he or she might be impacting other people’s level of curiosity. As parents, teachers, friends, co-workers, and leaders, we apparently have a substantial impact on others. If we can begin with understanding these factors, not only can we improve our ability to be more curious, but also temper how we interact with others to ensure that they are more curious. If we can address these four areas within our lives, consider the possible world that can open for us. If we no longer fear that our questions or ideas will be mocked or dismissed, if we no longer assume that we won’t find something compelling, if we embrace the possibilities that technology can provide us, and overcome the environmental influences that have held us back, what will that future workplace look like? I believe it will be one filled with potential, with workers who are engaged and excited to go to work, who come up with innovative new ideas, that disrupt old ways of doing things and make organizations more productive. I believe we don’t need to have FATE hold us back. Join Dr. Diane Hamilton on April 17 at 3:00 p.m. ET for #Nextchat: Cracking the Curiosity Code. Stay tuned to the SHRM blog for the preview.